What Exactly Is “Ban the Box,” Anyway? With the proliferation of Ban the Box laws in states and cities across the nation, we thought it would be a good idea to try to summarize the movement. If your organization is covered by one of these laws, you need to be aware of it and how it can affect your background screening policies. If you’re not currently covered, stay tuned. These laws have been spreading very rapidly. Ban the Box refers to laws passed by states, counties or cities that prohibit employers from using a blanket exclusion for job applicants who have some kind of criminal history. This exclusion is usually accomplished by having a check box on an application to indicate whether or not the applicant has a previous criminal conviction, hence the name “ban the box.” The laws aim to give ex-offenders a chance to demonstrate their qualifications for a job opening before their criminal background is researched. The Ban the Box campaign began in 2004 through the efforts of a civil rights group called All of Us or None that represents formerly-incarcerated people and their families. The campaign is intended to reduce the job and housing discrimination faced by ex-offenders, which impedes their attempts to reintegrate into society. The general policy assumption is that reducing barriers to ex-offenders benefits everyone by allowing them to establish healthy ties to the community and reduce recidivism. All Ban the Box laws contain a prohibition against asking about criminal background at the application stage of hiring, and then using the answer to determine whether to exclude an applicant. 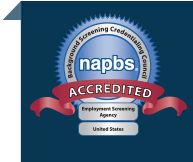 All of these laws acknowledge that employers have the right to conduct criminal background screening on applicants and employees, but limit the timing of the background research in the hiring process. Beyond these basic elements, the laws vary greatly from place to place. In the beginning, the Ban the Box campaign targeted public agencies. Early adopters prohibited using criminal background in the first interaction with applicants for jobs in public agencies. In most jurisdictions, there were exceptions for licensing boards or agencies that were directed by law or necessity to use criminal background as a first cut criterion for hiring. Today, more jurisdictions are expanding the coverage of the law to require private employers to comply as well. States including Minnesota, Massachusetts, Rhode Island and New Jersey have laws that cover private employers as well as public agencies. Some cities or counties such as Washington D.C. also have laws that cover public and private employers. The various laws differ somewhat on how they structure the hiring process. In some cases, employers may not investigate criminal background until the time of a first interview. In others, they have to wait until a conditional offer of employment is made. A few Ban the Box laws include additional provisions such as requiring the employer to offer an applicant a chance to rebut evidence used to exclude him or her—you have to know your local law. Does Ban the Box Replace Other Laws? In general, Ban the Box laws do not replace or rescind other applicable laws like the Federal Fair Credit Reporting Act (FCRA) or guidance from the Equal Employment Opportunity Commission (EEOC). In fact, the Ban the Box campaign was one of the strongest advocates for the EEOC’s 2012 update to its guidance on the permissible use of criminal arrest and conviction records in hiring. In turn, the EEOC is actively working against blanket exclusion policies in favor of “individualized assessments” in cases where a job applicant might be excluded because of a criminal record. Employers should be very careful to adhere to the FCRA hiring procedures and the EEOC anti-discrimination directives. Both the EEOC and the FTC have been very active in the legal arena to ensure fair hiring practices. In most cases, full adherence to these Federal laws will put employers in a good position to also comply with state or local Ban the Box requirements. In most jurisdictions, there are laws that mandate using criminal background checks for certain kinds of jobs. For instance, hiring law enforcement candidates includes excluding anyone with a felony conviction right out of the gate. Employers in certain agencies or of employees who are covered by licensing requirements need to be sure they understand how the specific laws governing those jobs apply. In rare instances, an employer might be forced to comply with conflicting laws. Normally, the Federal law will supersede a state or local law when this happens. Are You in a Ban the Box Jurisdiction? There are Ban the Box laws in 11 states plus the District of Columbia. In addition, the Ban the Box campaign claims there are 45 or more laws in cities and counties across the nation. The landscape has been changing so fast, it is hard to be certain, but a very useful map provided by the National Employment Law Project might help you determine if you are covered by one (or more!) of these laws. The fair hiring practices in all of these laws will help employers build a productive workforce, and keep negligent hiring or anti-discrimination lawsuits out of the picture. There is no doubt that the hiring process becomes a little more rigorous and time-consuming, but the guidelines in FCRA and Ban the Box rules are clear. This hiring process can be handled efficiently as well as fairly. 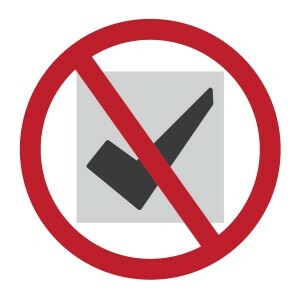 Questions about Ban the Box and how it impacts your hiring process? Talk to us.